Check the colors used on the site "mooColorFinder"
It is a net service that analyzes the CSS file of the specified site and shows the automatically used color like a palette. 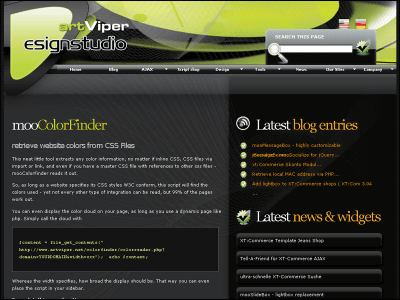 Since the thumbnail image (small image) of the site itself is also displayed at the same time, it seems to be useful for web design when referring to some site. For details on how to use etc. From the following. 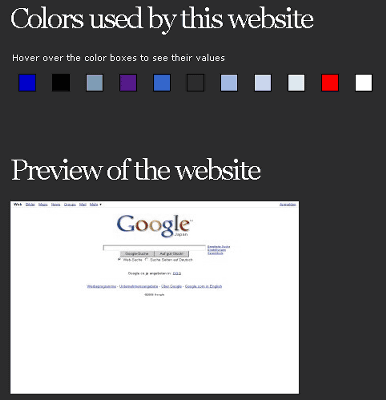 Enter the address of the site you want to analyze and click "get me the colors!" Create animated GIF when loading AJAX "Ajaxload"
FREE service to make a site Favicon (Favicon) from "FavIcon from Pics"
Maps on Google map can easily be embedded in blogs etc.